Dennis Ludin sat down with bassist Josh Gilbert during their recent European tour to talk about what’s in store for As I Lay Dying. 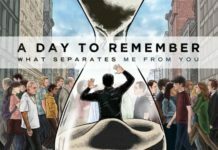 We caught up with A Day to Remember guitarist Kevin Skaff and got some insight into the band’s work on their latest album. What Separates Me From You exceeds the previous releases with an improvement in regards to songwriting; seeming more precise and compressed delivering as much diversity as hooks without any holes left to be filled. 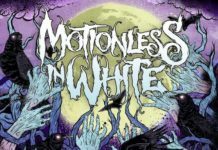 Creatures is a quality album, especially in contrast to other current releases that commonly fail to accomplish what Motionless in White has.